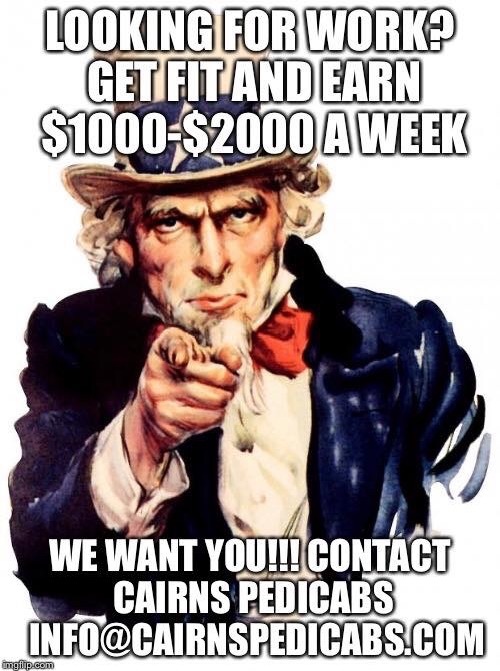 Get fit earn great money! 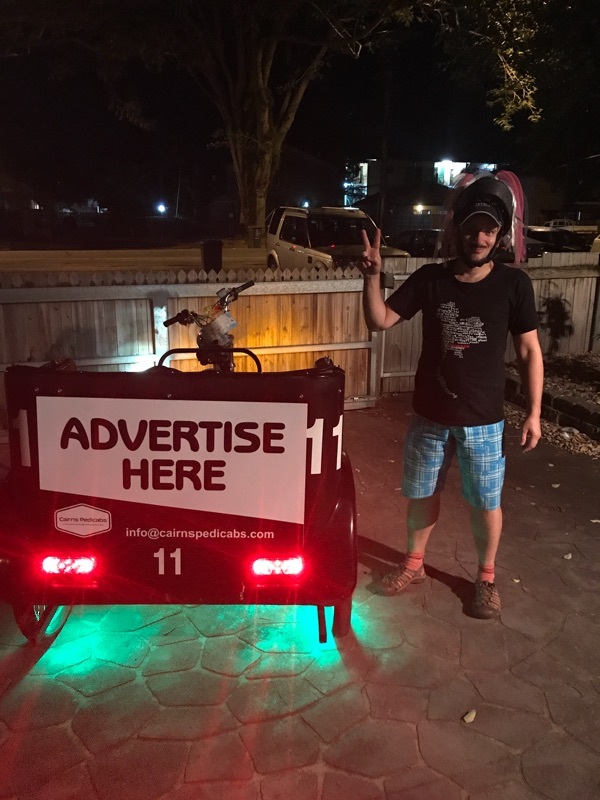 We are looking for new Pedicab riders in our cairns location. 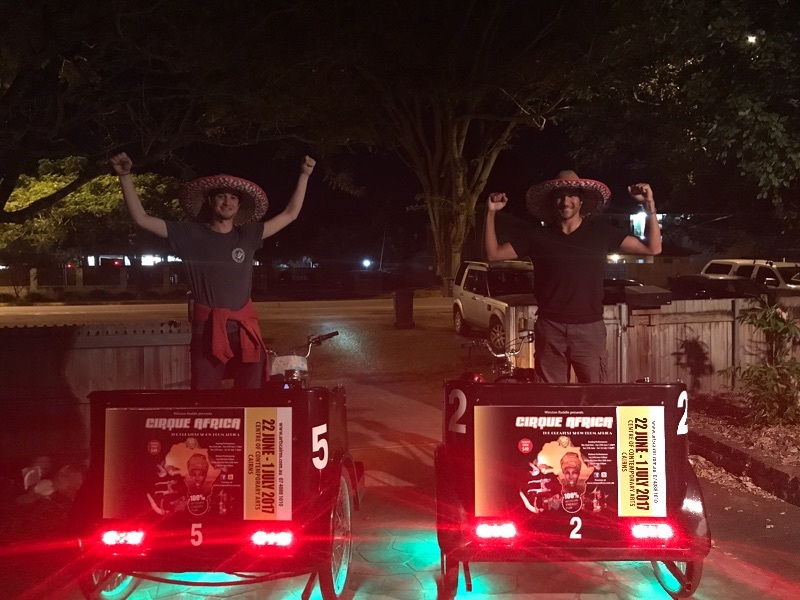 The riders generally make between 800 to 2000 profit per week in travel cash. Flexible shifts offerd leaving you plenty of time to explore this beautiful part of Far North Queensland. Please contact us to arrange an interview. We are hoping to start new team members from this week! 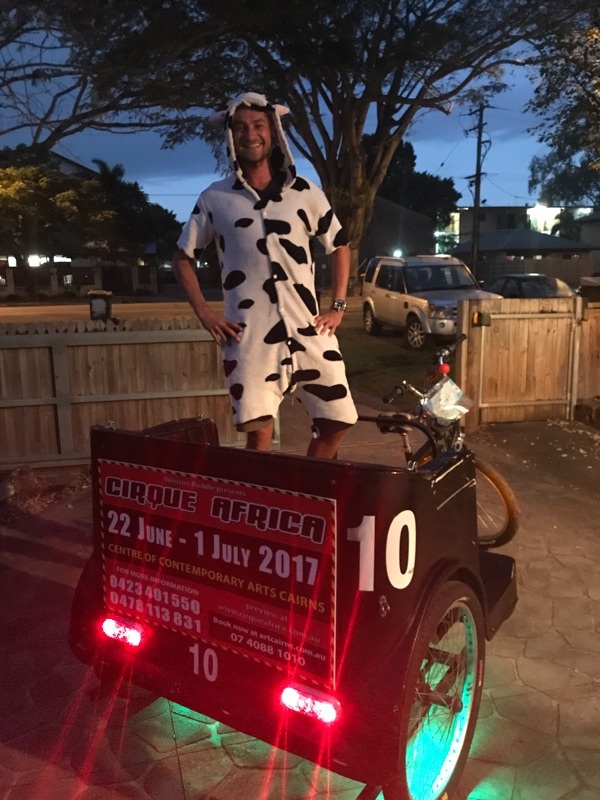 Heaps of events coming up In the next few months as the season kicks off in far North Queensland and lots of money to be made. Contact us ASAP to join the team!! We are all about Eco transport. We are located in several east coast locations including Byron bay and Cairns. 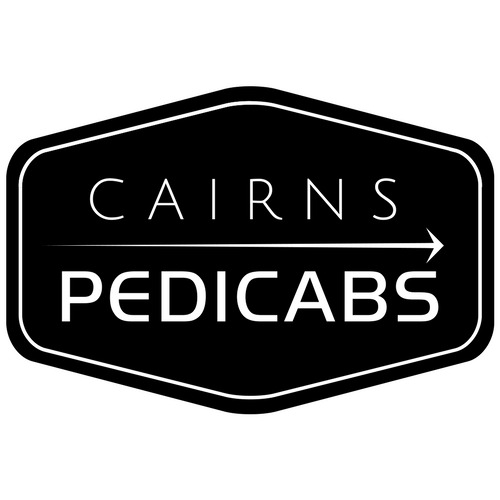 We can be found offering cheap rides around the city on an evening from 6pm onwards. We also have a privet hire service for weddings and other eventes. We are focused on getting fit, having fun and earning great cash.